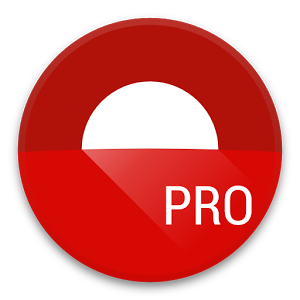 The Twilight Pro app makes your device screen adapt to the time of the day. 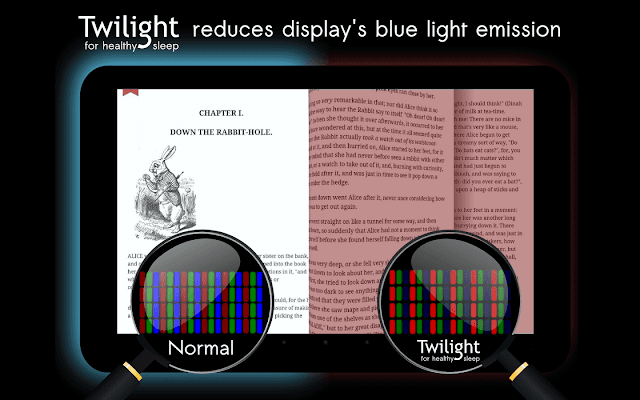 Twilight filters the blue light on your phone or tablet after sunset and protects your eyes with a soft and pleasant red filter. The filter intensity is smoothly adjusted to the sun cycle based on your local sunset and sunrise times.